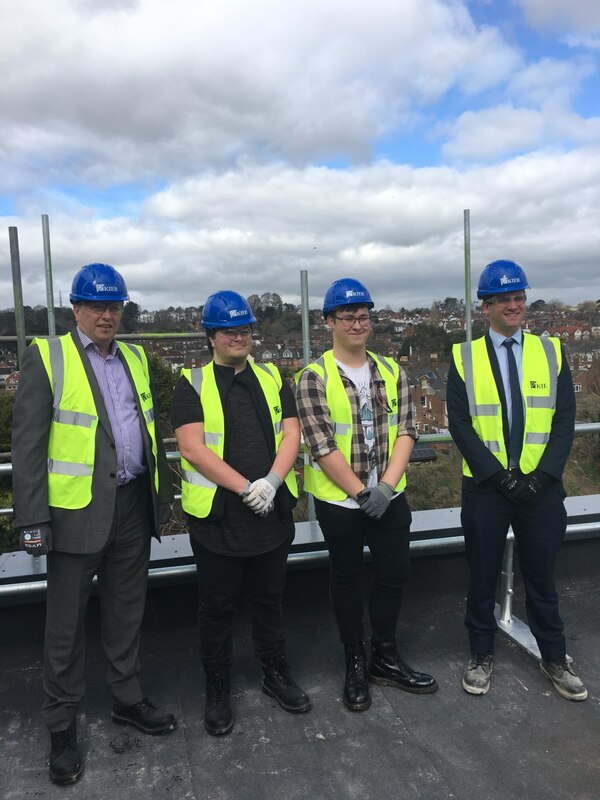 The Student Housing Company, which is bringing state-of-the-art student accommodation to Exeter for the 2019/20 academic year, has held a topping out ceremony at Clifford House today. 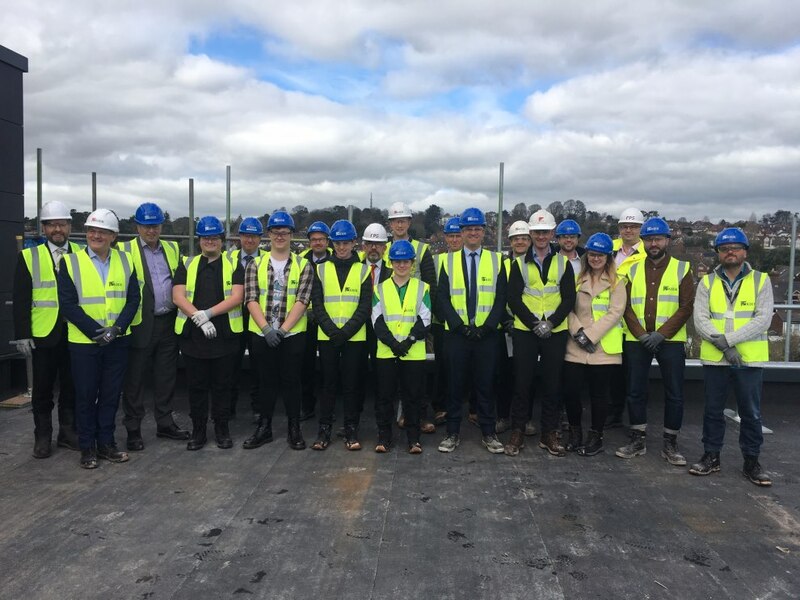 The event, which was attended by representatives from Exeter College and the building’s contractors, Kier, marks the completion of the superstructure for this exciting new project in the city. Exeter College media students Adam Douglas and Michael Corfield attended to preview a unique project they have undertaken as part of their studies. 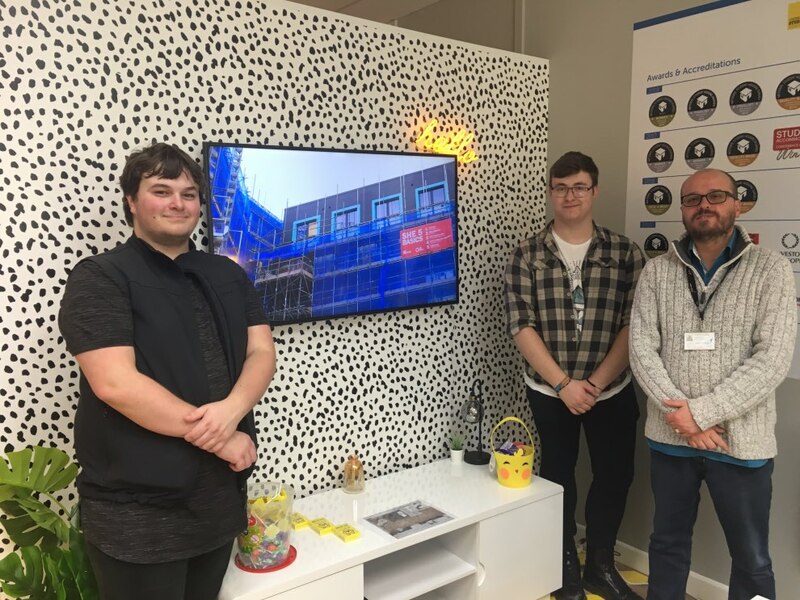 Having responded to a brief set by Kier to create a site induction film aimed at sub-contractors and visitors, guests at the ceremony were treated to a showcase of the two local students’ work being submitted for their UAL Level 3 Diploma and Extended Diploma in Creative Media Production. 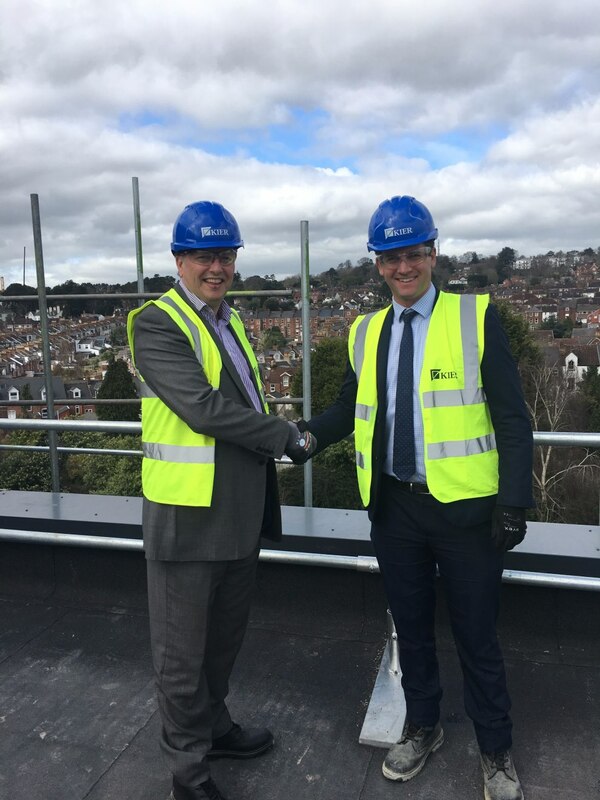 The Student Housing Company has invested £22m in the residence, which will provide 312 student beds in a combination of high-quality studio and shared apartments complete with ensuite rooms. The accommodation has been designed to reflect feedback from students across the UK by incorporating an outstanding range of communal spaces. 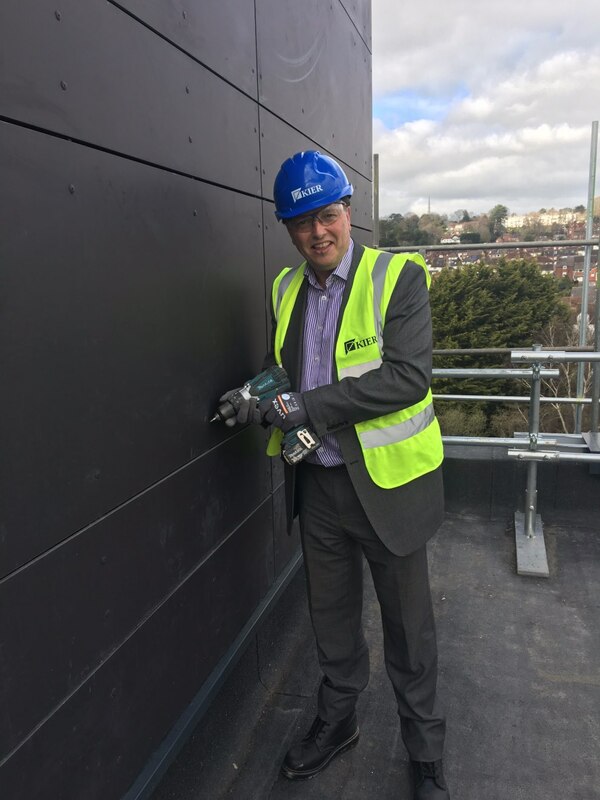 Anthony Irving, Managing Director at Kier for Western & Wales, said: “Providing young people with the means and opportunity to fulfil their potential is of the utmost importance to Kier. To book a show flat tour at 41 Sidwell Street, or book a room at Clifford House, visit The Student Housing Company’s website.